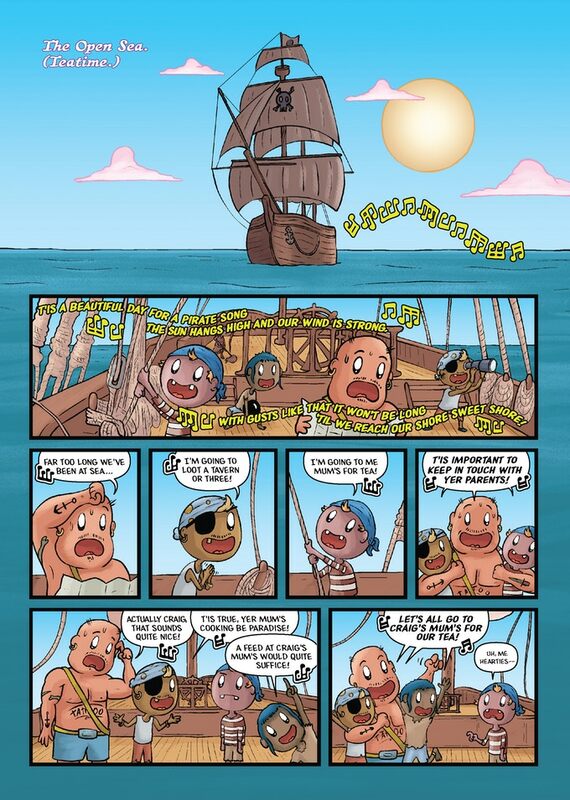 Home » Kickstarters » The Kickstarter for PIRATE FUN: THE FIRST TRIAL is now Live! The Kickstarter for PIRATE FUN: THE FIRST TRIAL is now Live! 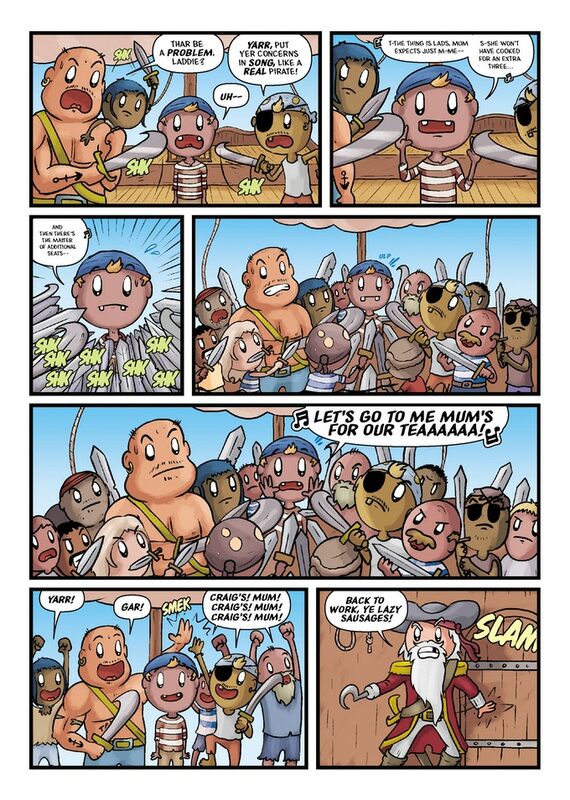 The creative team behind the Pirate Fun – the eagerly anticipated follow-up the multi SICBA award-winning Dungeon Fun – have just launched a Kickstarter for the full-colour first issue! 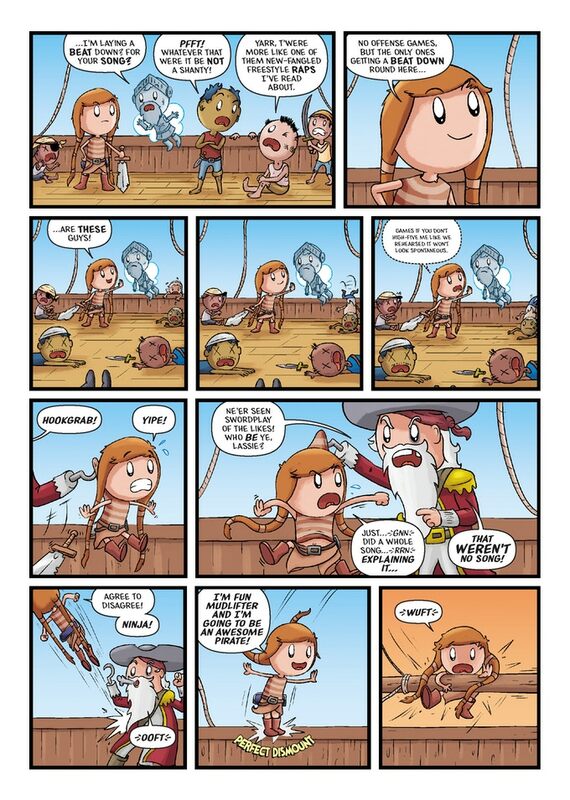 Writer Colin Bell, artist Neil Slorance and colourist David B. Cooper have put together 32 pages of fantastic, hilarious all-ages fun, and with tiers allowing you to snag digital physical copies of the book (along with the entire collected edition of Dungeon Fun), and even have Neil draw you or a loved one as a Pirate(!!! ), there’s pretty much no reason for you to not back this one, people. Seriously, check out a preview of the first five pages below! But what’s that? You’re still not convinced? Well then, allow me to re-post my entire review of the recently released “colour-it-in-yourself” (i.e. uncoloured) variant of the First Trial to help convince you. 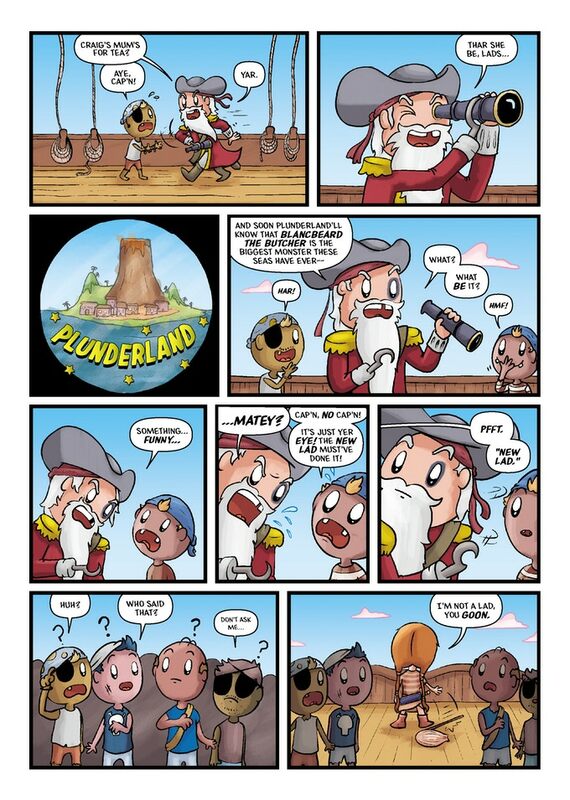 After a painfully long wait which saw both of its creators being relentlessly pursued on social media for updates by the Fun-loving comic book public, Fun Mudlifter – the star the multi SICBA Award-winning Dungeon Fun – is back with Pirate Fun: The First Trial, on sale now! 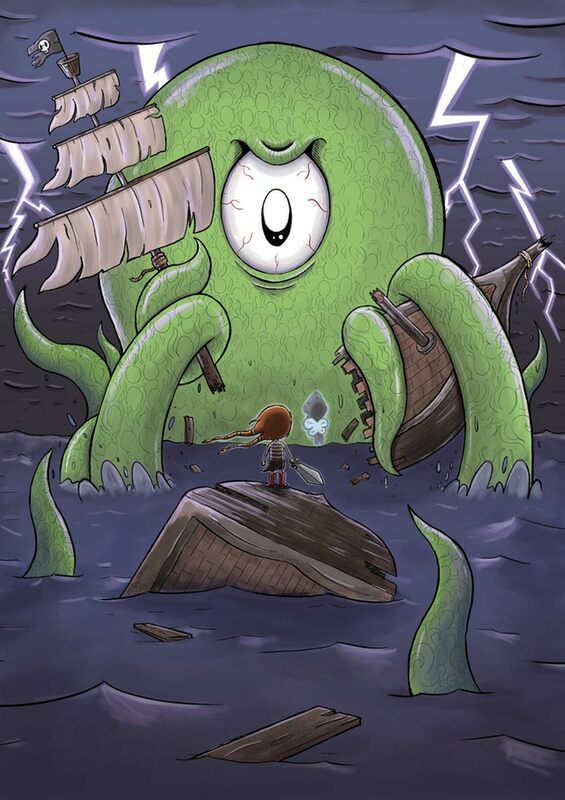 Well, wow about a look at the fantastic KRAKOCTOPUS (which is a kraken made of octopuses, duh) print which is available with some of the higher tiers? So what are you waiting for? CLICK HERE to check out the Kickstarter in all its glory, and for the love of Fun, get this baby backed!